Misia is one of the greatest R&B stars in Japan! She’s also a big DCT fan herself. When she was asked if there was anything she would have liked to have done before the end of the millenium, she said she would have loved to have worked with Dreams Come True. 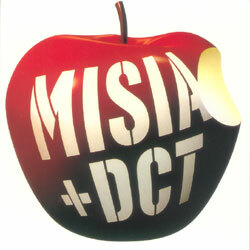 The result is this fabulous collaboration between Misia & DCT. The Misia penned lyrics are based on the DCT song, Hisashiburi no I Miss You. DCT even showed up at Misia’s 2001 tour to sing the song with her! I highly recommend you check out Misia!